Sandals are always great for the beach or pool, and instead of the cheap rubber flip flops or sporty sliders, go for a pair that are just a bit more stylish. The Sperry Top-Sider Baitfish Thong Sandal offers a lightweight midsole for comfort, a rubber bottom for traction on wet (or dry) surfaces, and a nautical inspired designed. When traveling, especially to a tropical destination, it’s always good to pack an extra tee or two. Swedish band Bread & Boxers offers a soft and breathable organic cotton and elastane blend of tees, and boxers, that are served and packaged individually as if fresh from the baker (hence the name). Versatile, the fabric is heavy enough for the tee to be worn on its own, but light enough to also work as an undershirt. If you use your iPhone a lot on trips like I do, you always need to have your charging cable handy. To lessen the bulk, give your phone a cover that provides an extra power source while on the go. 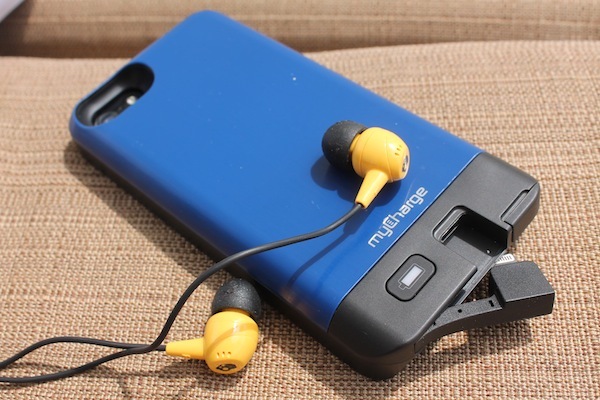 The myCharge Freedom 2000 can provide up to twice the battery life of your standard iPhone 5, and is available in several colors. Zone out on the plane or by the water with a good pair of headphone or earphones. Skullcandy JIB earbuds provide quality sound, provide comfort with silicone gel buds, and come in an array of colors that you can match or contrast your phone cover like I did. No trip would be complete without a pair of sunglasses. 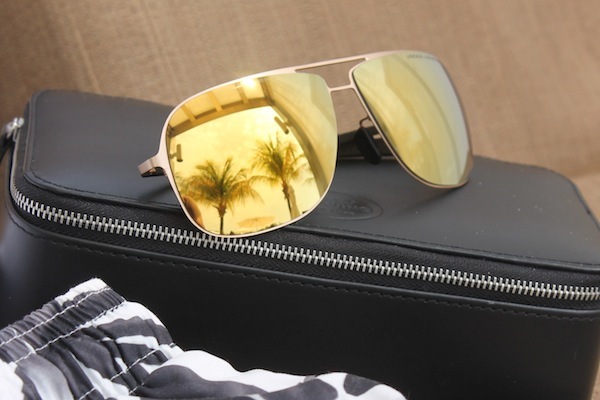 To match the gold accents on the Coach tote, I went for the sporty, yet stylish Under Armour UA Alloy aviators. Comfortable with the rubbered temples, the pair is laced with UA’s Armour Sight technology, which is said to provide up to 20% enhanced vision edge to edge in a lens. I couldn’t really notice this but that is most likely since I was using them for leisure and not sport. All the models of UA’s performance sunglass line block 100% of UVA, UVB and UVC rays, which is always good to have in a pair of shades. Posted on March 31, 2014, in Fashion, Tech + Gear, Travel, What To Pack and tagged Bread & Boxers, Coach, In The Bag, mycharge, Skullcandy, Sperry, Sperry Top-Sider, Under Armour, Zara. Bookmark the permalink. 2 Comments.